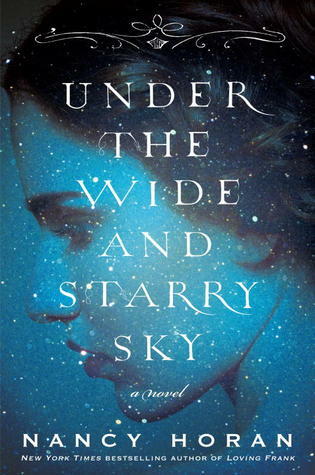 Under the Wide and Starry Sky will be released January 21, 2014. How exciting to already have a book to add to my favorites of 2014. In January. I feel this is going to be a great book year. I LOVED this book. Nancy Horan is the one of the most amazing historical fiction authors I have come across. I fell in love with her writing when I read Loving Frank for a book club and personally love this story more. In her afterword, Horan explains how she used much of the information in letters and diaries that were written by Fanny and Louis for this book. This copy took me about a week to read. I didn’t want it to end. What an adventure these two people had. Traveling with them to Belgium, France, Scotland, Hawaii, California, Samoa and other places kept me riveted. Having spent time in Scotland and having a Scottish family made all the references that much sweeter for me. Even with all the moving around (mostly for Louis’ health), they truly didn’t need much to get by except each other and you could feel that in the pages. I wanted to throw out every electronic device I have while reading this and really “connect” with my family and surroundings. I know times were much more difficult back then but there was a simplicity to life that I am envious of. Some readers might feel like Fanny gave up a lot to be with such a man who was an artist and very ill much of his life but their love and respect for one another was palpable. Louis knew he was a difficult man to live with and the fact that he always regarded her feelings and really saw her was touching. “Don’t say, ‘Climbing red roses are everywhere,’ as you do here. Make them do something. Say ‘the roses clamber up the trunk of the elm, and redden an arbor that creaks under their weight.’ Do you get my meaning? With any great historical fiction novel, I found myself Googling and Wikipedia-ing like a crazy researcher to find out all I could about Fanny and Louis. Putting faces and scenes to the ones I built in my head. Do this after you read the book! Nancy Horan’s novels do that to you. She really lets the story unfold and allows the reader to get into the head of the characters, which I find fascinating. *Thank you to NetGalley and Ballantine Books for this Advance Reader’s Copy. I was not required to review this book nor was I compensated. It was just too good not to share! To learn more about Nancy Horan, this book or upcoming events please visit her site here. She has a fantastic Pinterest page also with pages for both of her books. Tags: Fanny Van de Grift Osbourne, Historical Fiction, Robert Louis Stevenson, romance. Bookmark the permalink. Great review! Thought you might be interested in my short film “Death Is No Bad Friend” about Robert Louis and Fanny Stevenson in San Francisco: http://www.indiegogo.com/projects/death-is-no-bad-friend/x/1089930 Best regards, G. E.
Thanks so much G.E! I will check it out.